Bitcoin has become the buzzword of late. Although the cryptocurrency is not exactly a new kid on the block, it is only in the past year that it’s gained traction and found its way into conversations, financial portfolios and headlines around the world. But as with any novel innovation – especially one of a financial nature – there is a lot of speculation, scepticism and fear which abounds. And such fears are not unfounded. We all remember those dreaded Ponzi schemes, the LIBOR scam and most of us have been targeted by pigeon drop scams where foreign nationals halfway across the globe want to “stow” some of their windfall (usually a large inheritance) in our banking accounts… all we need to do is supply our personal information and banking details. Despite all the excitement surrounding Bitcoin, the no.1 performing cryptocurrency, there have been a few scares along the way. In fact, given all the rave reviews, most consumers were quite shocked to discover just how volatile cryptocurrencies could be. But why are cryptocurrencies so volatile – with booming growth and extreme drops along the way? And given this volatility, is it really advisable to start trading in, or mining, cryptocurrencies? The volatility of cryptocurrencies – and Bitcoin in particular – can be attributed to several factors. Firstly, much like a modern day gold rush, the widespread media coverage and resultant “discovery” of cryptocurrencies in mainstream media are to thank for the massive boom in the market. Consider, for instance, that Bitcoin was valued at $800 at the beginning of 2017, and peaked at $19 783 in December. But although it could resemble a gold rush, there are two major differences between cryptocurrencies and gold: cryptocurrencies aren’t localised and cryptocurrencies aren’t finite. This means that the volatility of cryptocurrencies – especially the speed at which the rates rise or drop – is to be expected, given that anyone, anywhere in the world can participate in crypto-trading or -mining at any time. There are no delays in mining ore from the ground, refining your product or transporting it to a dealer. It’s the second factor which sets cryptocurrencies apart from gold, however. For although cryptocurrencies are theoretically finite (up to 21 million Bitcoin can be mined, for instance) – there are a myriad of cryptocurrencies out there, and Bitcoin itself would most probably change up, innovate further and address this issue when it happens. On the one hand, the finite number of Bitcoin forces it to behave like gold in that it creates demand and increases the price. On the other hand, while alchemists had failed at creating gold from other minerals, new cryptocurrencies or novel ways of trading in them can occur at the drop of a hat. As for the cryptocurrencies’ downward drops, there are a few reasonable explanations for this as well. A particular problem with cryptocurrencies is that there are so few people who have a true grasp of how they work and how money can be made. Though millions of people showed (and are still showing) an interest in cryptocurrencies, many just jumped in with no idea what they were doing and found themselves stuck. Some spent exorbitant amounts on miners (and electricity bills), some used exchange platforms and others opted for crypto-trading brokers to act as intermediaries. For many people like this, the initial investment or excitement may have tapered down as they realised those brokers didn’t quite know what they were doing, or mining wasn’t as simple as that. And as speculation of ponzi schemes along with negative sentiments by frustrated newbies spread – the initial hype around cryptocurrencies took a knock. Other things which have impacted the performance of cryptocurrencies is the desperate attempts by governments and financial institutions to monitor, regulate and get a cut of the crypto pie has not only stirred fear in the hearts of traders and miners, but the media attention has even prompted certain trading desks to close their doors due to harassment and bad press. One such “crackdown” from regulators occured in South Korea where authorities decided crypto trading and exchange could no longer dodge regulation. Regulation of some kind was always inevitable given the political and economic nature of society. But we need not be worried that cryptocurrencies will fail. Cryptocurrencies have also been punted by other famous people around the globe, including Bjork, Bill Gates, Ashton Kutcher, 50 Cent, Richard Branson, Paris Hilton, Luis Suarez, Jamie Foxx and Floyd Mayweather. Alright, so celebrity endorsement may not sway banks and financial institutions towards cryptocurrencies… but what if these institutions moved to crypto on their own? This is exactly what is happening. It would not be as easy for governments to simply switch off cryptocurrencies given that Goldman Sachs, Barclays, UBS, Citi Bank, Societe Generale (SocGen), Standard Chartered, Banco Santander and many others have already accepted bitcoin and other cryptocurrencies as legitimate currency. In Argentina, for instance, the largest trading platforms are now accepting bitcoin and cryptocurrencies have been a remarkable safety net for millions of people who’d have suffered from losses in its traditional currency after a significant economic backslide. Cryptocurrencies are therefore not merely a thing used for investment in Venezuela – as elsewhere; it is a means for an entire country to keep their heads above water and survive. Even Venezuelan president Nicolas Maduro has canvassed for a government-backed cryptocurrency. We hope you’ve noted that the State Republican Party in America accepts bitcoin donations. The leaders of the free world, dear readers, accept cryptocurrencies as legitimate financial tender! Given the endorsements and acceptance from names and companies mentioned above, it is clear that cryptocurrencies are here to stay. They have been embraced by governments to save entire nations, by political parties to fund campaigns, by international businesses and some of the top billionaires and businessmen of our time. This does not mean you should jump into the pool headfirst – on the contrary. The concerns around bitcoin and other cryptocurrencies are legitimate. You should be cautious. 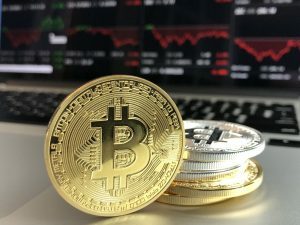 Given the rapid changes in regional policy relevant to cryptocurrencies, the volatility of the trading markets, the cost of mining and sheer number of crypto-services, brokerages and variation on mining and wallets out there – it is inevitable that many people will be defrauded out of their investments or spend more than they gain. But given that it is here to stay – it is important to educate yourself and research the legitimacy and workings of these currencies, their mining and exchanges. Rand Rescue can assist you in this regard. Our affiliate service provider, Electrum Capital, is a legitimate, efficient and knowledgeable provider of cryptocurrency services which allows you to enter the world of cryptocurrency with mitigated risk. The company believes in transparency – by coaching and facilitating trading through blockchain technologies. They facilitate digital exchange and supply all users with cryptocurrency wallets. Most of all, however, the platform provides alternatives to conventional currency exchange in that you can stand to invest your hard-earned funds in cryptocurrencies with an experienced team of cryptocurrency experts to monitor your bitcoin trading. Just give us a call and leave your details and we’ll discuss the ins-, outs, requirements and benefits of our services with you before you spend a cent. Unlike these currencies, we are not cryptic.